Q. Please tell us about yourself? A. I am an Engineer by profession. After completing my education, I had served in number of companies at different positions. Thereafter I started my own manufacturing units, thereafter, one of my manufacturing units became IPAMA’s Member and I got attached with IPAMA. I had been associated with IPAMA in various capacities. Presently, I am its President. Q. What were the major landmarks in your journey? A. There are no as such landmarks but certainly there are number of achievements in my life with which I am fully satisfied. After completing my education, initially I had started my career as a workman. Thereafter, I established my own manufacturing Units. For the last more than ten years, I am in the manufacturing line, as well as I am also a Printer. I am also a member of AIFMP. I am also Director in a number of companies. I am also associated with number of educational institutions in Telangana and Andhra Pradesh. In 2017 I was elected as President of IPAMA. In the same year, I was elected as President of Asia Print Association and Vice President of Global Print. Q. What are your greatest professional strengths? A. Manufacturing different types of machinery and related products, based on latest technology, for domestic consumption as also for exports to different countries; to advise educational institutes and introducing new technical courses relating to printing and graphic arts industry. To find out new innovative printing techniques. Q. How do you deal with pressure or stressful situations? A. I never believe in conflicts which give birth to pressure and generate stressful situations. I always take decisions with consensus. I like to read historical books, when I get time, out of my business commitments. Q. What do you think about the contribution of exhibitions industry in promoting SME’s? A. Mostly the small-scale units are not able to sell their products in international market on their own due to certain limitations. They need a common platform for promoting their products. The exhibitions provide cheapest mode of publicity of the products of MSME units. This is a major contribution of the exhibition industry to MSME units. Q. What plan do you have for upcoming Show? A. We are expecting record number of exhibitors and business visitors during PRINTPACK INDIA 2019 in comparison to previous editions. For the first time, as planned by us, the entire exhibition space was sold out two months before the commencement of the exhibition. We had also planned separate Halls for Corrugation and Label Industry which is being appreciated by the Exhibitors and the Business Visitors. For this show we had also planned inclusion all the segments of the Industry in the Exhibitor Profile which has also been appreciated by the printing fraternity. We have also planned number of Conferences, Business Meets and Workshops during the exhibition. Q. What has been the impact of PRINTPACK on the overall growth of business development in the industry? A. The popularity of PRNTPACK is increasing day by day. In the past, we had concentrated on innovation and adoption of new technologies by the manufacturing units so that we could produce best products and increase our export percentage in the world market. IPAMA had also organized participation in number of international exhibitions and other related events by giving support of financial assistance from the Association, in which we have succeeded to a certain extent. Q. What innovations have you introduced in your show format over the years? A. For the first time, we earmarked separate Halls for Corrugation and Label industry. We have selected all the Service Providers well in time for providing quality services to all concerned. Online registration of Visitors and Exhibitors has been introduced for the first time. The registered visitors can enter the exhibitions halls directly. They will not have to wait for registration at the Counter. Q. What are your upcoming plans? A. 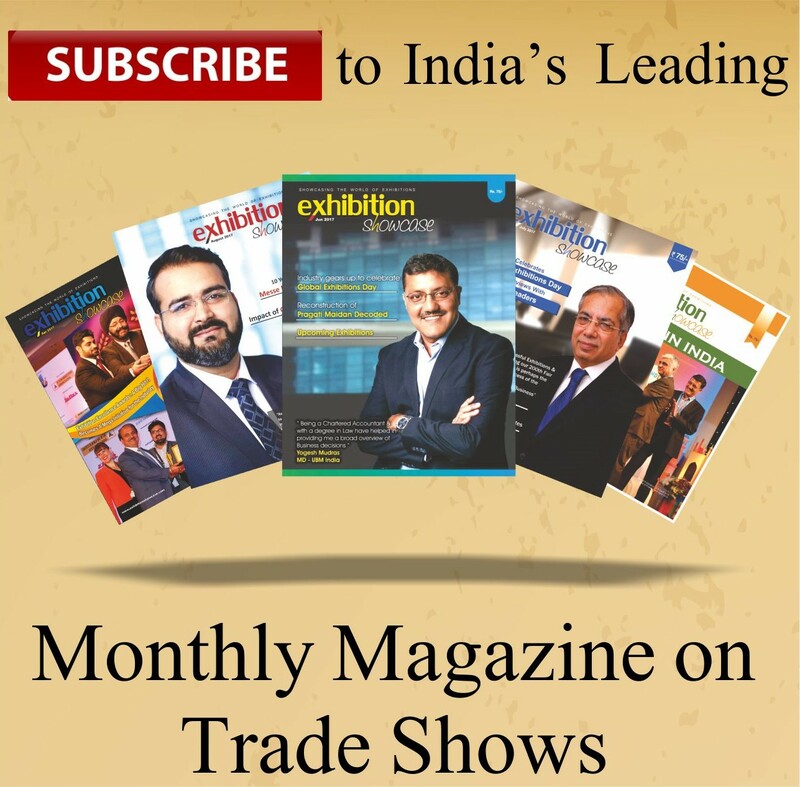 To organise participation in Indian and foreign exhibitions, including Drupa 2020 for promoting the products of IPAMA Members who are mostly in the MSME sector. As an Exhibition Organizer, what process do you adopt to choose the Event Venue & what are your expectations from Venue owners? A. The foremost consideration for choosing a venue is that it should be equipped with all the modern facilities for organising international exhibitions, conferences etc. The venue should be well connected by road from different locations in Delhi NCR. It should also be well connected by Air and Rail links. India Expo Centre is one of the modern exhibition grounds in India and is well equipped with all the modern facilities. We expect from the Venue Owners to provide trouble free services to Exhibitors, Business Visitors and the Organisers.